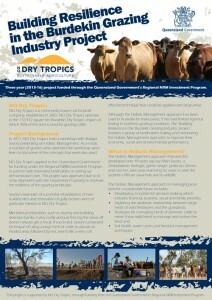 The Building Resilience in the Burdekin Grazing Industry project was funded through the Queensland Government Natural Resource Management Investment Program 2013-14 to 2017-2018. The project trialed innovative grazing practices to improve land condition, water resources and environmental assets. 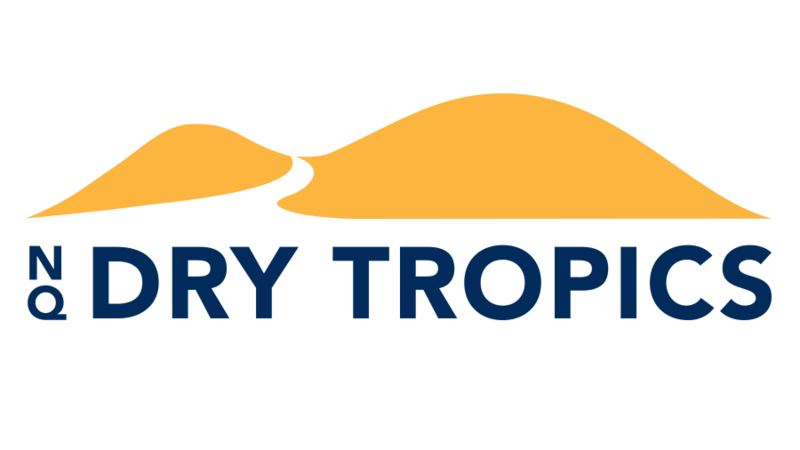 These practices will minimise degradation and increase landscape resilience, which are vital outcomes to support Queensland’s aim of maximising productivity and resilience, while sustaining the natural resource base as the foundation for long term profitability. Learnings were shared with industry, client networks and community groups, consistent with the goal of sharing knowledge through extension. 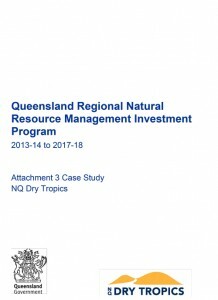 The project was born on the interest generated from a Holistic Management training event held by NQ Dry Tropics in the Bowen, Broken, Bogie (BBB) basin in 2012. Conversations with 28 graziers identified the need to provide economically viable options to increase ground cover and manage soil loss from their grazing properties. While mechanical restoration of erosion issues such as gully erosion can be effective, it is very costly and beyond the resource capacities of most graziers. Graziers were very interested in trying the Holistic Management approach along with a robust monitoring program to ensure sound scientific backing of outcomes. This project involved a group of three landholders (managing over 56,000ha between them) trailing the Holistic Management approach to improve their economic, social and environmental performance. This approach involved developing a decision making framework to help graziers improve their performance and importantly, supports practical, cost effective and innovative approaches to land management and restoration issues. The project demonstrated these innovative approaches in the priority Bowen Broken Bogie (BBB) basin to improve land condition, water resources and other environmental assets.